Don't be fooled by the picture above. All American is about football in the same way that This Is Us is about happy people. Both show up only sporadically. Inspired by the life of retired NFL-er Spencer Paysinger, the series — which just wrapped up its first season on The CW — boasts a sporty DNA. But thanks to creator April Blair (Hart of Dixie, Reign), that's offset by a soapy side. Think 90210 meets Friday Night Lights' black friend. Find out what the stars of NBC's long-running soap have to say about super couples Cin, WilSon and Elani! In the premiere, we're introduced to Spencer James (Daniel Ezra), a wide receiver who's recruited out of L.A.'s Crenshaw hood to play for upscale Beverly High. After moving in with the team's coach (Taye Diggs) and his family, Spencer's torn between the lifestyles of his rich and shameless new crew and the world he left behind. 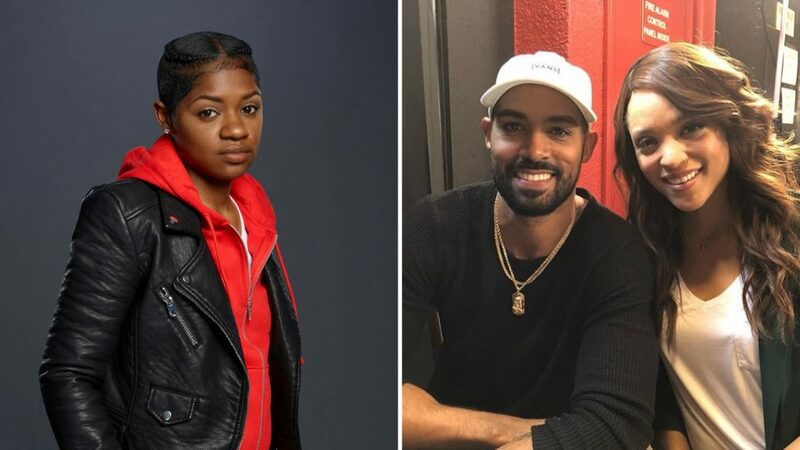 It doesn't help that the coach's jealous son (Michael Evans Behling) is also his main competition on the team, or that his lesbian bestie back home (Bre-Z) is beset by her own issues of acceptance. With these players and several others in place, the writers tackle all sorts of hot-button issues (racism, substance abuse) free of preachiness, while also throwing clever spins into classic teen-drama plots like first loves, MIA dads, and, of course, the big game. So clear your schedule and get ready to cheer. Because this one is a winner. Plus, will 'All American' be renewed by The CW? And where is '9-1-1' on Fox?